Aporia is a collection of installations by South Korean artist Lee Jung. 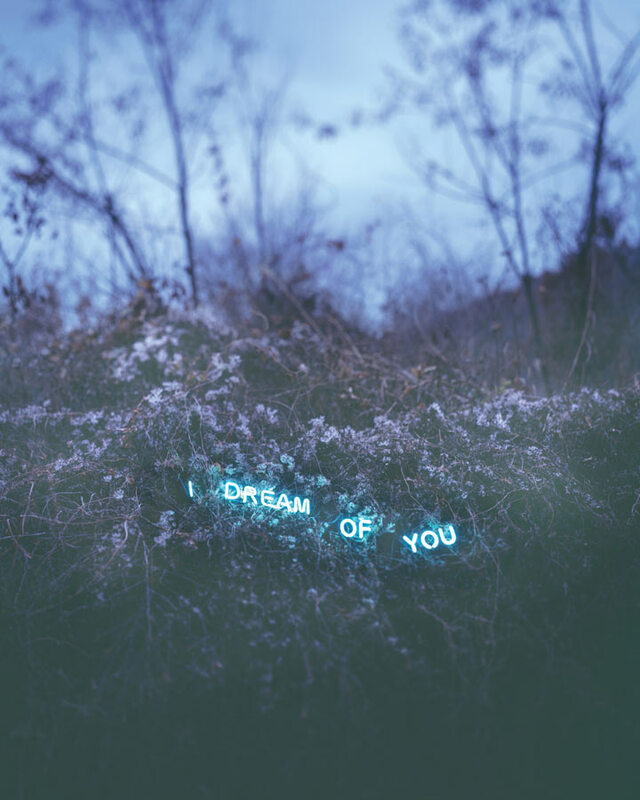 Each of the installations consist of some sentence or phrase spelled out in neon against an empty, natural background. Lee Jung earned an M.A. in Photography from the Royal College of Art, UK, a B.A. with honors in Photography from Kent Institute of Art & Design, UK and a B.A. with honors in Mass Communication & Journalism from Kyung Hee University in Seoul, Korea. The word "aporia" comes from a greek word meaning "dead end street" and the Oxford English Dictionary defines it as: "An irresolvable internal contradiction or logical disjunction in a text, argument, or theory." The name of the piece combined with the subject matter of the piece really reveals some of Jung's thoughts on the concept of love. Much of the text used in the installations talk about the concept of love very specifically (such as the one that reads "I love you with all my heart" and the one that reads "Have you ever loved me"). Though of the other text does not all specifically use the word love, they are all concerned with the theme of love in some way. The piece was inspired by Fragments of a Lover’s Discourse by Roland Barthes, a book containing fragments of literature and philosophy about love; all the text Jung uses in Aporia comes from this book. Some examples from this piece such as the one that reads "how could you do this to me?" or the one that just reads "Why?" shows that even though love is a emption most people would consider positive, it can be extremely complicated and can have negative effects on people, such as in the case of unrequited love, or the loss of a loved one. The piece itself seems to be drawing specific attention to some of the potentially negative aspects of love. 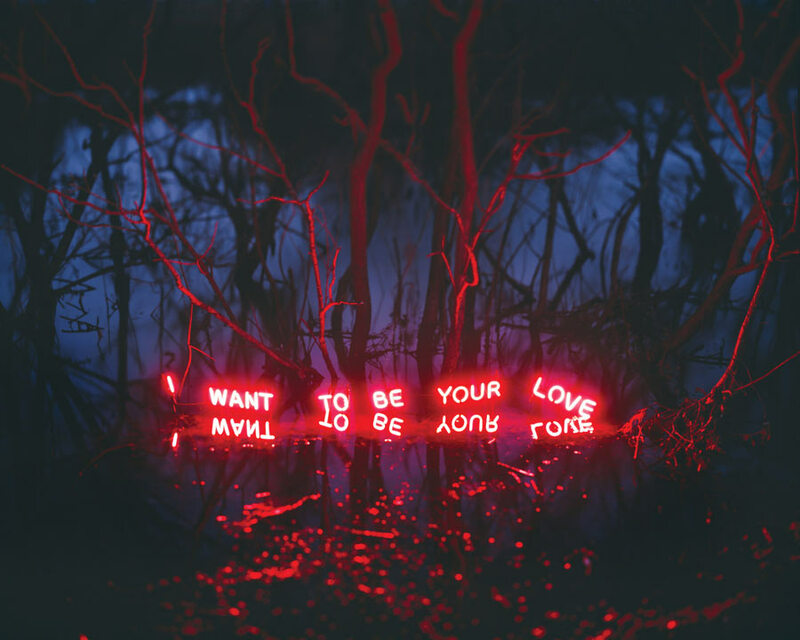 Not only are some of the negative feelings associated with love spelled out in neon, but every piece of text, positive or negative, is set in a desolate natural background. Lee Jung says she was inspired to do this because she was thinking about the emptiness and lonesomeness of neon signs that could be found in the city, and wondered what would happen if she brought them out to a totally empty place. It is the juxtaposition of this very romantic language in bright neon set against a dreary, empty background that makes this piece so hauntingly beautiful. I really love the formatting of this post! I think considering the current trends and when this was created, this is just amazing. The significance of love is mostly seen in good ways, but I like how you give the perspective of the other type of love! How love is so much deeper than just happiness but can create so much deep thought and compassion, so much hurt and confusion as well. Great post!